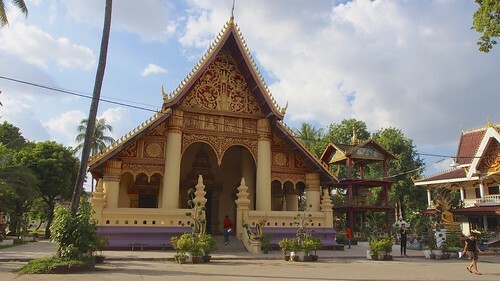 One of Vientiane's many Buddhist Temples, Wat Ong Teu Mahawihan was constructed in the 16th century and destroyed during the Thai invasion and sacking of Vientiane. After the French took control of Laos in 1843 and moved the capital to Vientiane they began the reconstruction. The French also added a school in 1929. The Lao Buddhist institute still operates as a school for the Theravada Buddhist religion.